Click on the stories from our sister sites on the Female Network. What drinks have you been obsessing over this summer? Candymag.com Correspondent Rizzi shares her favorite thirst quenchers! From milk tea to ear candy, Valentine sweets, and mouthwatering chicken and thirst quenchers, there's something for you in this list! Read up on this week's links from our sister sites on the Female Network. The editors of Candy share their favorite milk tea flavor. Candymag.com Correspondent Caitlin has some fun suggestions for you! FN Link Love: Blake Lively, Maja Salvador, and More! Check out our favorite links from our sister sites on the Female Network this week! The Candy editors have been to a lot of milk tea places around the metro and they share what they like the best. This coffee and tea shop will make you happy everyday! 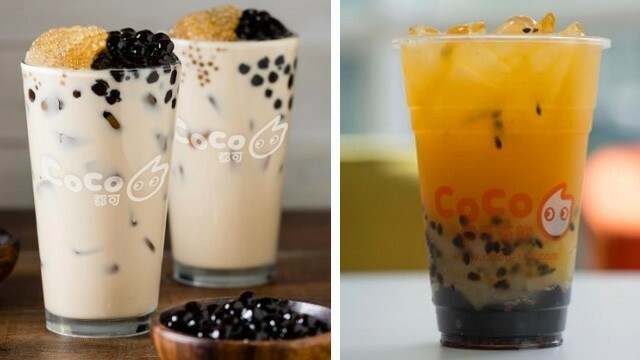 Try these treats when you're in the mood for some milk tea and bubbles.